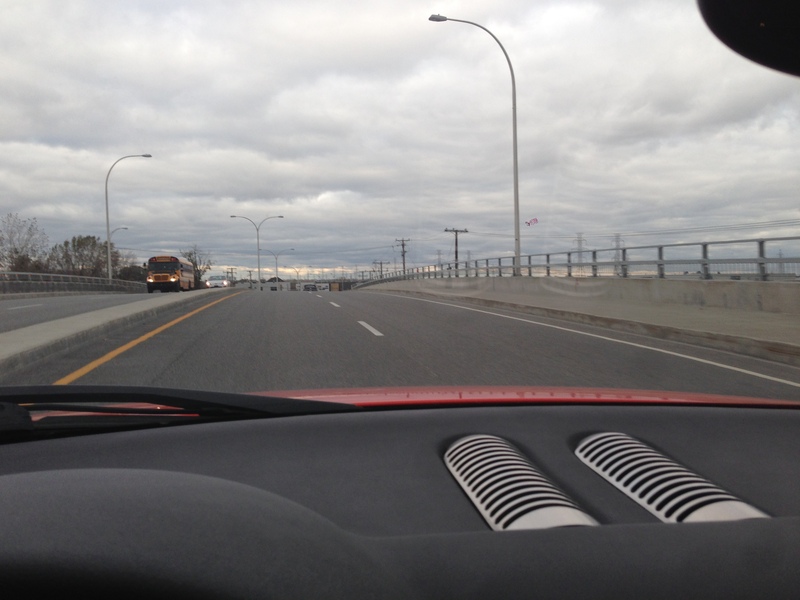 Windshield Tint? Yeah, you read right! I went for a windshield tint a few days ago. 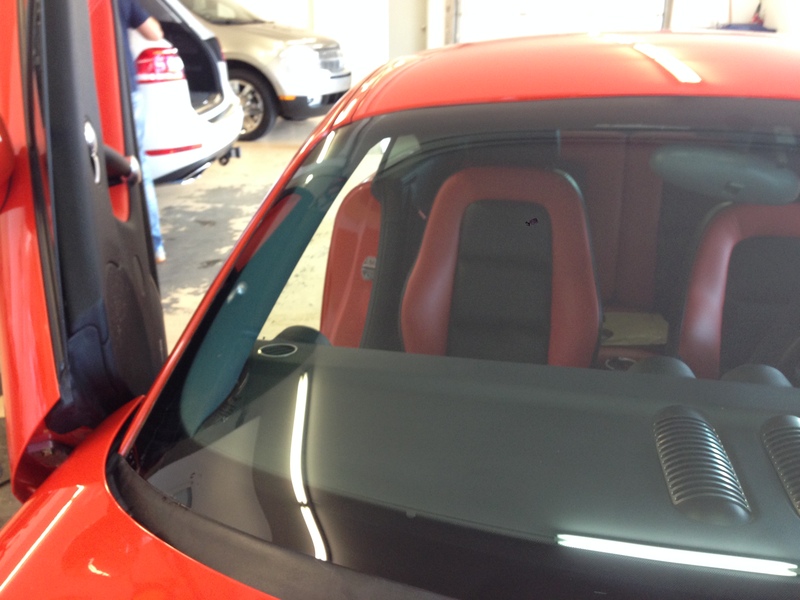 I have seen many cars with tinted windshields, many in southern US States and always loved it. I also noticed that all TV commercials show us cars with tinted windshields and IMO it makes them look better. 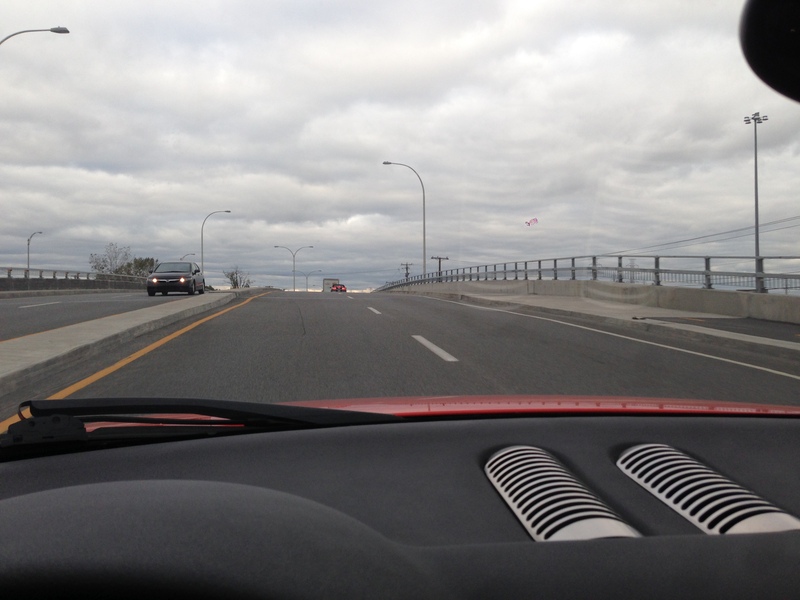 2) will I see something through the windshield? 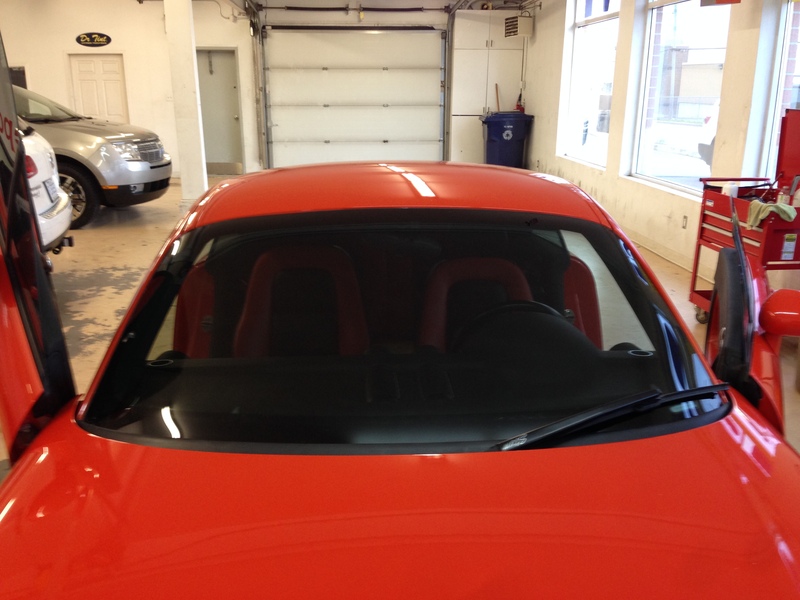 Depending on where you live, it may be possible to tint your front glass and still be legal. 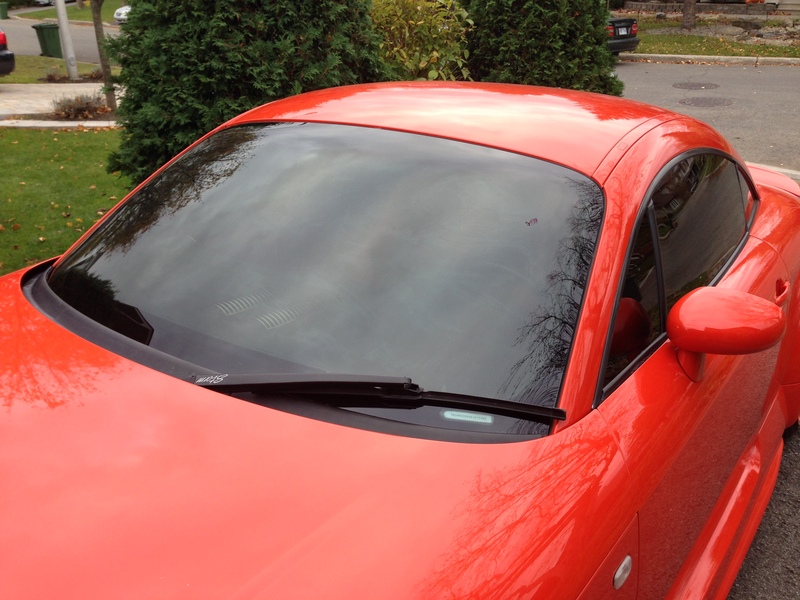 For instance, many new car manufacturers already tint the windshield, usually over 90%+ light allowance. The question is are you allowed less? 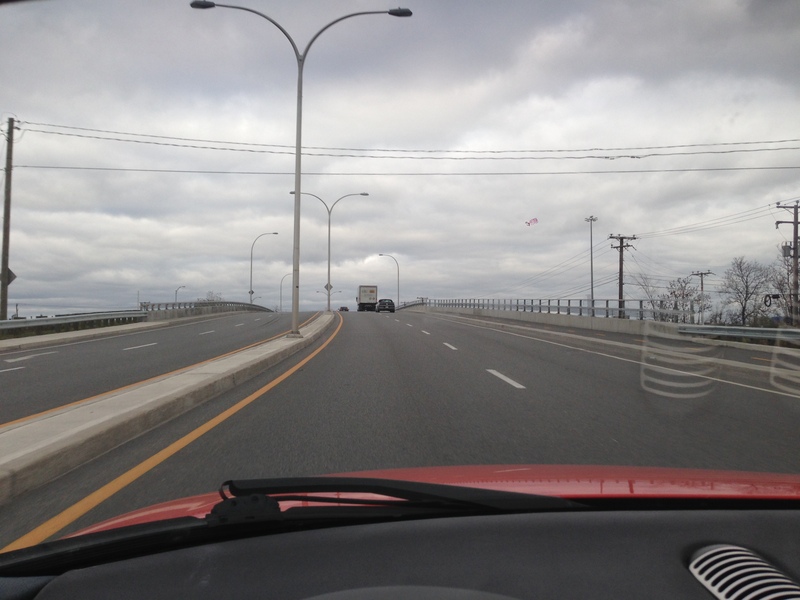 You should check your local Department of Transportation regulations. 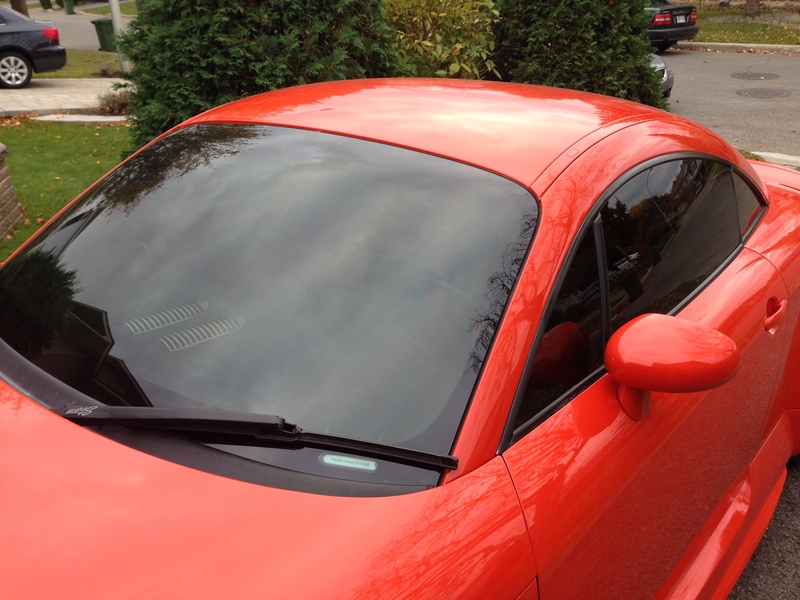 I’m doomed, as the Quebec DMV does not allow any tint aside from factory. Then again, that is if you get caught… And I’m willing to take the risk! All in for the look. Next step was to find someone that would answer positively to my question on the phone, as they all know it’s illegal. But I finally came across one guy a few minutes away from my house that said “yeah, sure bring it in on Saturday”. Oh yeah! So there I was, anxious to see the final result. I had searched throughout the web to decide on the tint ratio. 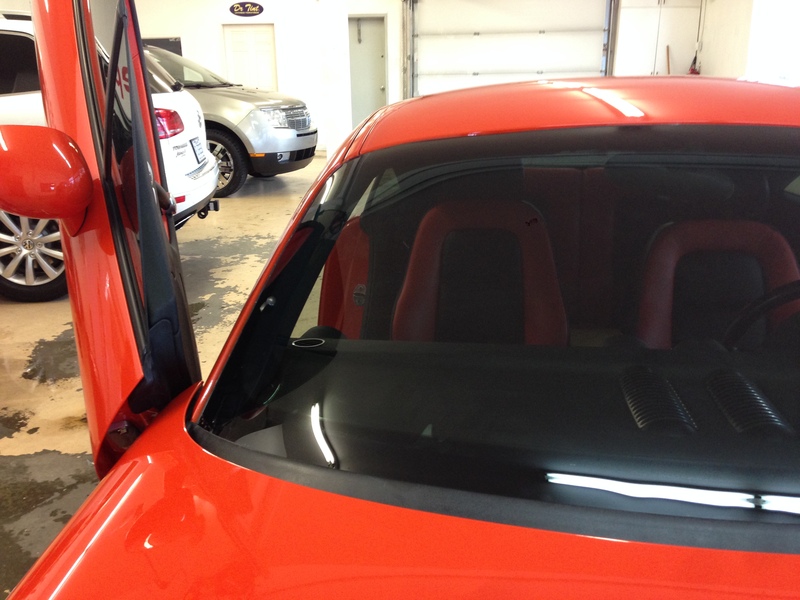 Some have 90% (why would you… anyways) down to 5% all black tints. The majority of all the tips I read had an average tint ratio between 50% and 35%. Since I have a black interior and 20% sides and back glass, I stopped my choice to 50%. I’m very happy with my choice! It reflects enough to make it hard to see inside from some angles but also allows you to see inside out perfectly fine. Thoughts? Post below. 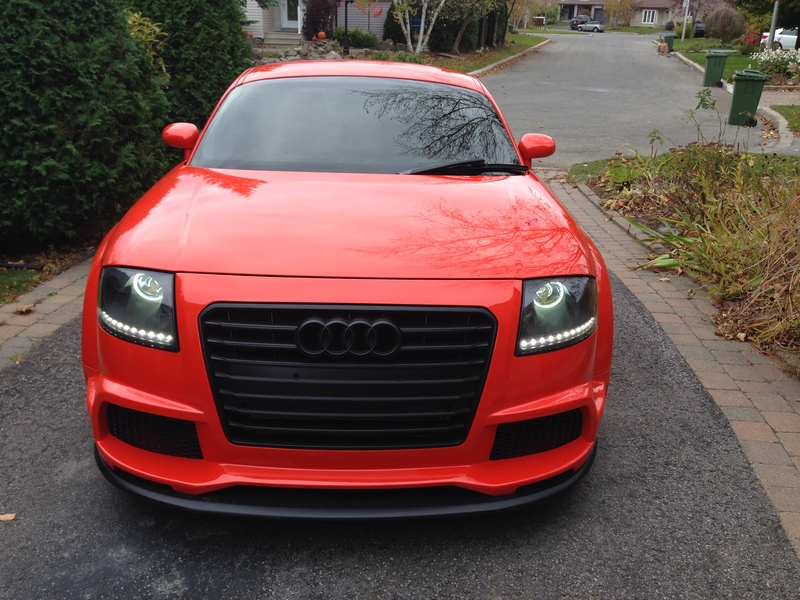 This entry was posted in Audi TT MK1 and tagged tint. Bookmark the permalink. 35% is general but if you have had or have skin problems with the sun … you can get waiver to go dark……..